AMD is giving a demonstration of the brute force of its upcoming Vega GPU, showing its ability to handle 4K and 8K graphics. The company is showing off its next-generation Radeon Pro professional graphics card based on the Vega GPU at the NAB show in the Las Vegas this week. One demonstration has the Vega GPU handling 8K video processing in Adobe Premiere Pro CC 2017. The other focuses on 4K post-processing with Radeon ProRender, which renders high-end graphics. The NAB show is targeted at the TV and film industry, in which 8K is a growing trend. 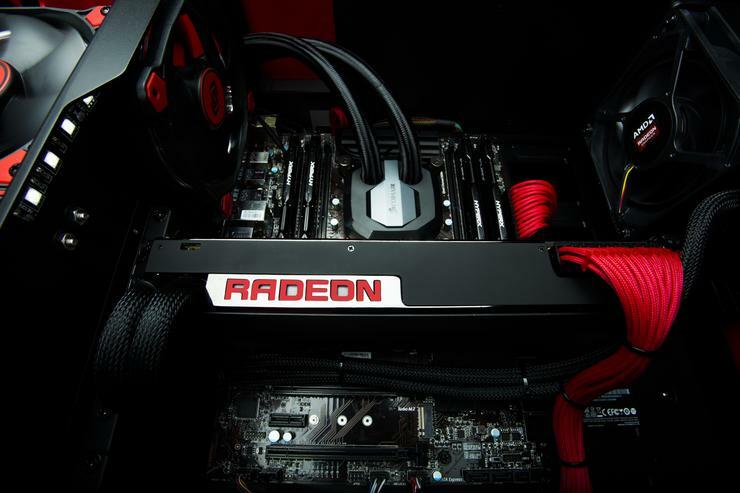 AMD has been wooing the industry to adopt its GPUs. While computer users are still entrenched in 4K, the 8K resolution is considered about two to three years away. But gamers will be among the first to move to 8K, and Vega should be able to handle it. Dell has already said its 8K monitor works with Polaris-based Radeon WX 7100 GPUs, though the performance isn't optimal. The events at NAB are among the few demonstrations of Vega provided by AMD so far. The Vega GPU was shown at CES and later at a technology day event held by AMD in February. AMD has shared a lot of technical details about Vega. It has HBM2 memory and a new graphics rendering engine, which will provide a substantial boost in GPU speed and image quality. It is also being tuned for artificial intelligence with the ability to undertake 8-bit floating point operations, critical in machine learning. AMD has said it is thinking about creating a mega server chip by pairing a high-end server chip with a Vega GPU. The first GPUs based on Vega are expected to ship in the second quarter of this year. It's not yet known when Radeon Pro-based Vega GPUs will be released, though it could be soon. AMD declined further comment on the Vega-based Radeon Pro GPUs or the demonstrations at NAB. The company introduced its new Polaris-based Radeon Pro Duo at the show.